List the names and contact information of at least two individuals who serve on the school district’s Global Scholar Committee. Ensure that Global Scholar Committee members have received proper training. A description how the school will administered and guided students to complete the Illinois Global Scholar Capstone Performance-based Assessment (i.e.as a standalone capstone course taught by school faculty, an independent study course supervised faculty, as part of an extracurricular club overseen by faculty, as part of a dual-credit course, etc.) as described in Illinois State Board rules. General information about the Illinois Global Scholar Certificate program and the opportunity for students to participate. A description of each of the requirements students need to complete in order to receive the Illinois Global Scholar Certificate. A listing of all opportunities offered by the school district that will meet the global collaboration or dialogue requirement, as described in Illinois State Board rules. A complete description of the Capstone Project Performance-based Assessment steps and requirements, as described in Illinois State Board rules. 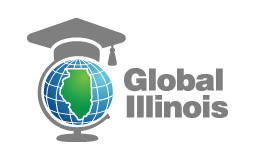 A link to the State Board’s website describing the requirements for the Illinois Global Scholar Certificate. A description of the process a student would use to demonstrate global competence. 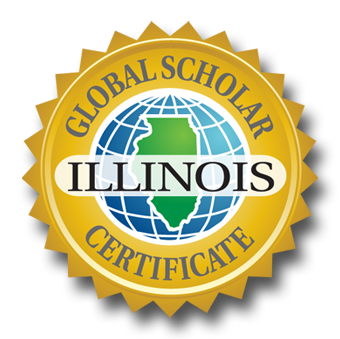 The names and contact information for any individuals designated to serve as Global Scholar Committee members of the Illinois Global Scholar Certificate.